This fresh, young Merlot/Shiraz blend is for those who like their Rosé a touch on the sweet side. 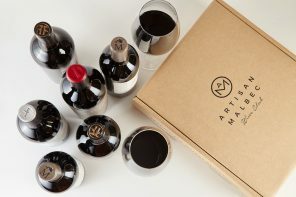 An ever so slight touch, that is, more like a summer cocktail of ripe, sweet fruits. You might pick up strawberries and cream on the palate, with sweet cherry and watermelon aromas, and just a hint of zesty citrus. Good for quaffing on the back deck, or for serving as an aperitif or barbecue number. 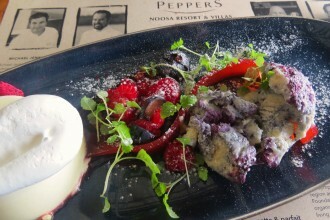 A splendid lunch to celebrate the launch of Peppers Noosa.